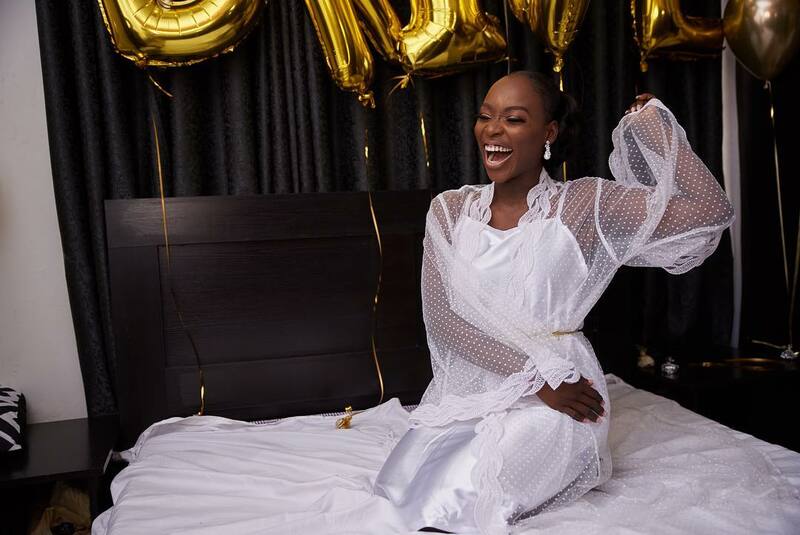 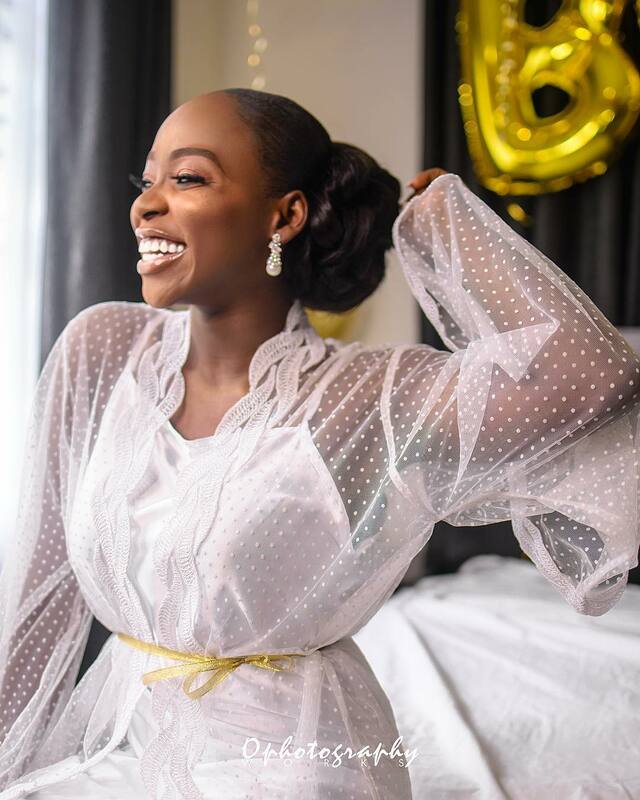 TV girl Tomike Alayande is now married! 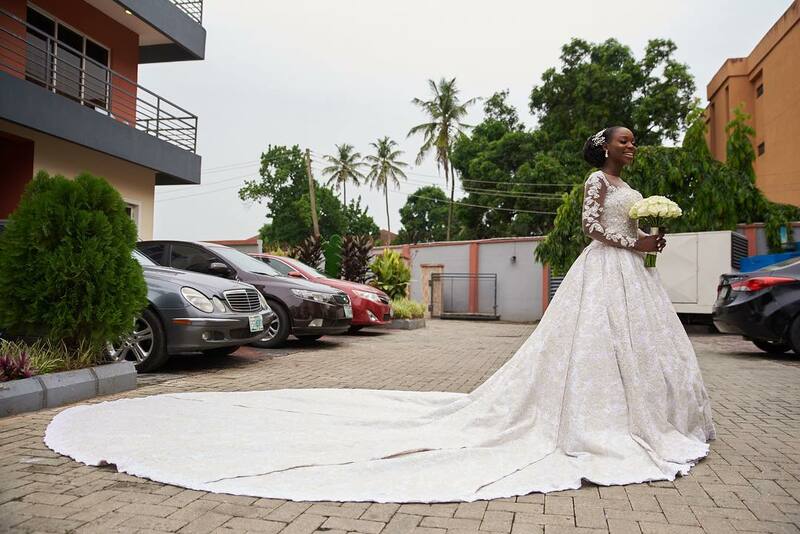 She had her white wedding ceremony with her lover, Tosin on Saturday. 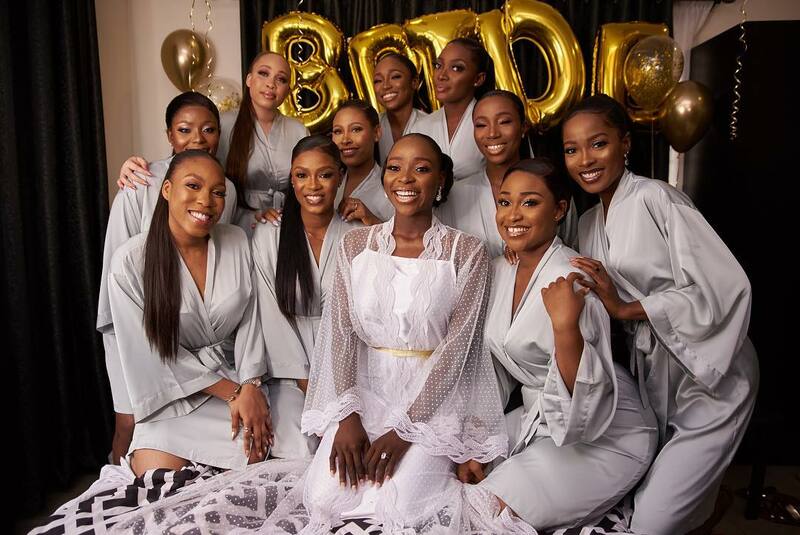 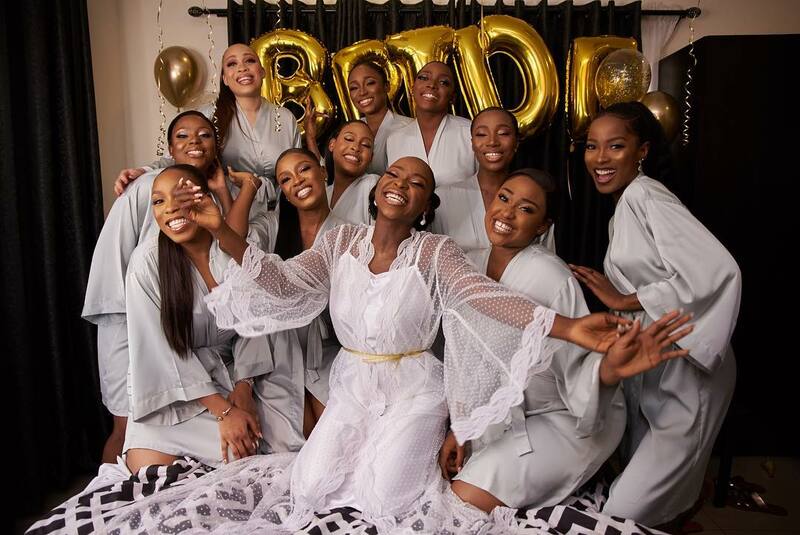 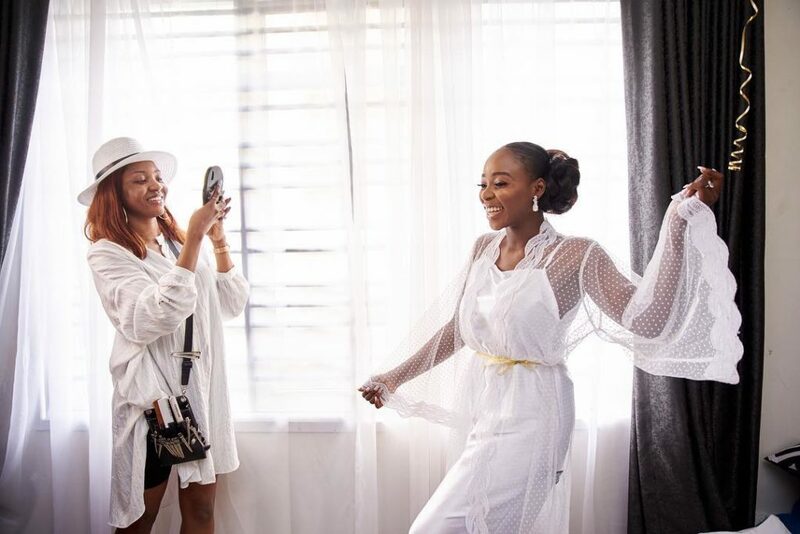 Here are some first photos as the bride and her bridesmaids were all fun and giddy as they shared moments together just before she walked down the aisle.